Lake Shore Gal is running August 24th in a maiden special weight for 2 year old fillies at Del Mar. She will be ridden by Drayden Van Dyke. She is trained by Tom Proctor and owned by Glen Hill Farm. Laurie: Charge Now—(Tiznow - Supercharger, by A.P. Indy) is a half brother to Kentucky Derby winner and this year’s freshman sire sensation Super Saver. He’s been brought along very patiently by Bill Mott and the only mar on Charge Now’s record is an off the board finish over a sloppy track. Charge Now went five wide on the turn in the Curlin Stakes and finished second in a three horse photo. That was the first time he’s had to fight and he’ll be a more experienced horse for it. Charge Now’s speed figures have improved in each of his last three starts and he worked a pre-race bullet. Yes, the Curlin was a slow race, but at 15-1 morning line, he’s worth a hard look to hit the board. Exotics contender. Ashley: Charge Now—Laurie makes some good points in regards to this brother of Super Saver and Brethren. You have to admire Mott’s patience with this one, and it’s obviously paying off so far. Though I tend to believe Mott wouldn’t have Charge Now in such a deep spot unless he was sure that the colt was ready, I’m still hesitant to say that he’s ready for the step up in class. The odds are tempting, and he does look better than the rest of the class jumpers. So why not toss him in the exotics? Royal Son is running August 30th in a maiden special weight for 2 year olds going 7 furlongs at Saratoga. He will be ridden by John Velazquez. He is trained by Todd Pletcher and owned by WinStar Farm LLC. Norumbega is running August 30th in the Woodward Stakes. He will be ridden by Javier Castellano. He is trained by Shug McGaughey and owned by Stuart Janney III. Tiz Lady Legs is running August 31st in a maiden special weight for 2 year old fillies going one mile on turf at Del Mar. She will be ridden by Rafael Bejarano. She is trained by Neil Drysdale and owned by Stepaside Farms LLC. 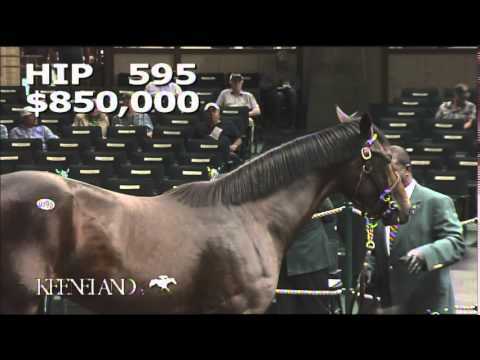 Hip 595, Tour de ×Force, colt by Tiznow —Dream Supreme, by Seeking the Gold Consigned by Lane's End, agent for breeder Kinsman Farm, Kentucky-bred Tiznow colt (named Tour de Force) is out of 2000 Test and Ballerina winner Dream Supreme. A winner of four other graded stakes, Dream Supreme is the dam 2007 Hopeful Stakes (gr. I) winner and successful sire Majestic Warrior (by A.P. Indy). She also has produced stakes winners Evolutionist and Crystal Current. Hip 306 - This Tiznow colt out of Supercharger (A. P. Indy) is a half brother to 2010 Kentucky Derby Presented by Yum! Brands (gr. I) winner Super Saver and to grade III winner Brethren . The family hardly needs another boost but got one when this colt’s full brother Charge Now finished second in the recent Curlin Stakes at Saratoga--losing by just a head to V. E. Day, who won the Travers (gr. I) next out. The Hill ’n’ Dale Sales agency consigns. Hip 361 - The Taylor Made Sales agency consigns this Tiznow half brother to a pair of grade I winners in Overanalyze and Meadow Breeze. He’s also a half brother to grade II winner Mighty Monsoon. Hip 461 - This Tiznow colt from the Vinery Sales consignment is a half brother to Tapit ’s son Constitution, winner of the Besilu Florida Derby (gr. I) this season. Constitution is undefeated in three career starts, all this year. The dam is the Distorted Humor mare Baffled, a grade III-placed runner herself, and this family goes back to grade I winners Emcee and Awesome Humor, among others. Delta Outlaw is running September 14th in a maiden special weight for 2 year olds going one mile on turf at Monmouth. He will be ridden by Paco Lopez. He is trained by George Weaver and owned by R.A. Hill Stable. Summer House is running September 21st in a maiden special weight for 2 year old fillies going 6 1/2 furlongs at Belmont. She will be ridden by Junior Alvarado. She is trained by Bill Mott and owned by Joseph Shields Jr.
Chase Me Now is running September 25th in a maiden special weight for 2 yer old fillies going 1 1/16th mile on turf at Laurel Park. She will be ridden by Julian Pimentel. She is trained by Timothy Tullock Jr. and owned by Everest Stables Inc.
Lismore is running September 26th in a maiden special weight for 2 year old fillies going 7 furlongs on turf at Belmont. She will be ridden by Christopher DeCarlo. She is trained by George Weaver and owned by Shamrock Farm. Tiz the Key is running September 27th in the Zenyatta Stakes. She will be ridden byTyler Baze. She is trained by Richard Mandella and owned by Spendthrift Farm LLC. Alexis Tangier is running September 27th in the Unzip Me Stakes. She will be ridden by Victor Espinoza. She is trained by Richard Mandella and owned by Ran Jan Racing Inc.
Rebranded is running September 28th in the Oklahoma Derby. He will be ridden by Elvin Gonzalez. He is trained by Justin Evans and owned by Tony Pennington. Charge Now is running September 28th in the Oklahoma Derby. He will be ridden by Junior Alvarado. He is trained by Bill Mott and owned by WinStar Farm LLC. Big Kick is running September 28th in the John Henry Turf Championship Stakes. He will be ridden by Victor Espinoza. He is trained by Michael Machowsky and owned by Ernest Marchosky. Tourist is running October 4th in the Hill Prince Stakes. He will be ridden by Manuel Franco. 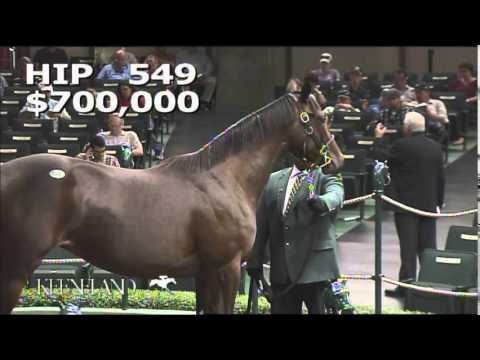 He is owned by Bill Mott and owned by Gary Barber and WinStar Farm LLC. My Merry Way is running October 4th in the Indiana Oaks. She will be ridden by Trevor McCarthy. She is trained by Graham Motion and owned by Tracy Farmer. Tiz Windy is running October 4th in the Indiana Oaks. She will be ridden by Brian Joseph Hernandez Jr. She is trained by Carl Nafzger and owned by Jim Tafel LLC.